Long Island Chapter 7 Bankruptcy Trustee Kenneth Silverman was appointed yesterday by Bankruptcy Judge Dorothy Eisenberg to be the trustee in the Agape World Inc. case. 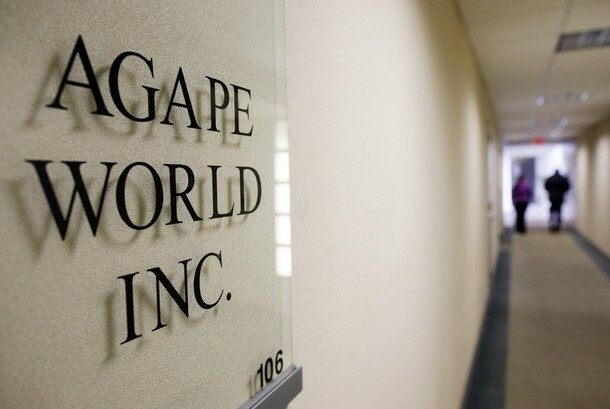 Agape World is the corporate entity Nicholas Cosmo is accused of using to perpetrate a $370 million Ponzi scheme. The case will be overseen by the United States Bankruptcy Court for the Eastern District of New York in Central Islip. The bankruptcy was filed on February 5, 2009 by three petitioning creditors represented by Mark Steven Mulholland, Esq., an attorney at Ruskin Moscou Faltischek PC, a Uniondale law firm. What is an involuntary Chapter 7 bankruptcy proceeding? Most Chapter 7 bankruptcy cases are filed by a consumer or business debtor who is seeking bankruptcy relief, and are thus considered “voluntary bankruptcies.” However, not all bankruptcy proceedings are voluntary. Under the bankruptcy code, creditors have the option of filing for relief against the debtor under Chapter 7, in which case the proceeding is called an “involuntary bankruptcy.” Involuntary bankruptcies are allowed only when certain minimum thresholds are met; for instance, there must be a minimum number of creditors and a minimum amount of debt. The debtor has the right to file a response to an involuntary petition, after which the court will determine whether the creditors are actually entitled to relief. If the court dismisses an involuntary bankruptcy filing because it has no merit, the creditors may be ordered to pay the debtor’s attorney’s fees, damages for any losses the debtor experienced because of the bankruptcy and even punitive damages to punish the creditors for the frivolous or abusive filing of a petition. The Agape case involves 1,500 investors. The trustee’s primary objective will be to recoup funds that these investors placed with Agape and its president, Nicholas Cosmo. Mr. Silverman has already directed his firm, Silverman Acampora LLP, to file four motions seeking to examine various entities that may have some of the funds. These entities include MF Global Inc., Alaron Futures & Options, Millennium Trust Company, and TransAct Futures. The motions, seeking a section 2004 examination, were filed today.